“O sige (OK), make sure you all know how to avoid foreclosures and how to take advantage of President Obama’s first time homebuyers stimulus program, any questions from anyone sitting in the back? ” Vicky Silvano points to the back of the room. She’s handing out information to community members attending a recent workshop in Chicago’s Uptown neighborhood on how to retain one’s home in the current housing crisis. Vicky works as a real estate broker and many immigrants who own homes pay far more of their incomes for housing, on average, than native-born Chicagoans, and may have been vulnerable to subprime lending. On the surface, this workshop might just be your garden-variety homeowner information workshop. But in this case, who is delivering the message is as interesting as what is being said. Vicky is the immediate past president of The University of the Philippines Alumni Association of Greater Chicago(UPAAGC), which sponsors educational scholarships to the Philippines. It has also sponsored this community-wide workshop to help Filipinos and non-Filipinos living in the Uptown neighborhood learn more about mortgage relief. This isn’t the only immigrant group to sponsor meetings on the topic: the Federacion de Michoacanos de Chicago FEDECMI, a Chicago hometown association of Mexican immigrants from Michoacan, Mexico, also sponsored one geared toward Mexicans and non-Mexicans in Chicago’s Pilsen neighborhood. Both groups’ primary focus is raising funds to donate to projects in their native countries which include the gamut of international projects from providing health and education assistance to large-scale community and infrastructure projects like building local roads and dams. 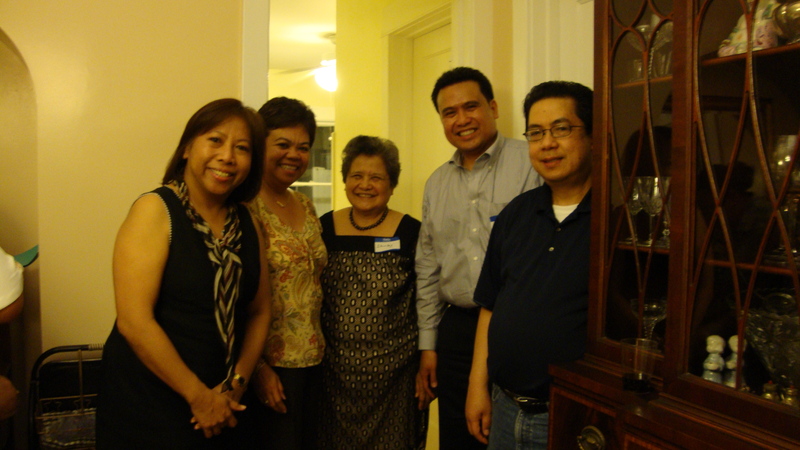 Vicky’s alumni association has funded various, diverse projects during the last few years including refurbishing classrooms at the University of the Philippines, funding cultural exchanges between the Philippines and the US and sponsoring local forums for Filipino healthcare workers in Chicago. 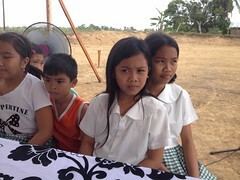 Over the years, Vicky and her alumni association seemed to be continually involved with both local projects in Chicago and international projects in the Philippines. However, the recent economic crisis has affected the amount of community donations diaspora groups send back to their homeland. The World Bank predicts a decrease as much as seven percent or more. In comparison, the decrease in community donations are a lot smaller than the drastic reductions of private flows to many developing countries like the Philippines and Mexico. On the contrary, Vicky and many diaspora donors like her seemed unfazed by the prospects of the current economic downturn and continue to be hopeful. You could sense the optimism in Vicky’s voice as she answered the questions from the back of the room during the workshop. She’s hopeful that some of the attendees will turn out to be potential home buyers and eventually boost her real estate business so she could continue to contribute to UPAAGC at the same or higher financial level this year. So what do Filipino and Mexican diaspora groups have to do with the local housing crisis? She clearly has a strong sense of belonging in both worlds – in Chicago and in the Philippines — even if Filipinos are often treated like outsiders in the United States, even though Filipinos are the second largest immigrant group to the United States, after Mexicans (World Bank fact book 2008). Perhaps Vicky helped someone at that housing seminar to keep their home from foreclosure or gave information so they can buy their first home. But what’s just as important is what Vicky got out of it. In the act of giving, she felt connected, she belonged. Vicky’s personal story is not unique; it reflects the new immigrant experience of belonging both here and there as immigrant groups continue to give generously to both local projects in Chicago and to international projects in their homeland. Vicky’s story shows the new transnational phenomenon of belonging to both worlds – here and there. “Huwag niyong kalilimutan! (Don’t forget!) Mark your calendar to attend the alumni’s weekend golf outing next month in Hoffman Estates,” she waved her hand in the air reminding everyone. “But most of all, we’ll be serving lechon (roast suckling pig on a stick). So everyone should be there!” So who said golf and lechon don’t mix? Vicky thinks they do. Filipinos playing golf in the suburbs seems to epitomize the height of immigrant assimilation at the same time they make it uniquely Filipino, turning a standard American golf outing into a little fiesta of Filipino delicacies. Vicky Silvano and others like her are both rooted in their local communities here and linked to their communities back home. Her story reflects the new character of immigrant integration as she carves her own path for herself and her children at the same time doing a unique balancing act of belong here and there. This entry was posted in Diaspora Donors, Diaspora Giving, philanthropy, Philippines, Remittances and tagged diaspora giving, philanthropy, Philippines, transnationalism. Bookmark the permalink.